CAT 2018 Live Update is available here. IIM Calcutta has started slot 1 of CAT, at 9:00 am. The slot will end at 12:00 noon. The candidates who have to appear for slot 2, must reach the exam hall at between 1:15 pm to 2:15 pm. The second slot of CAT 2018 will begin at 2:30 pm and will conclude at 5:30 pm. This year, IIM-C is conducting the examination in 147 cities, all over India. 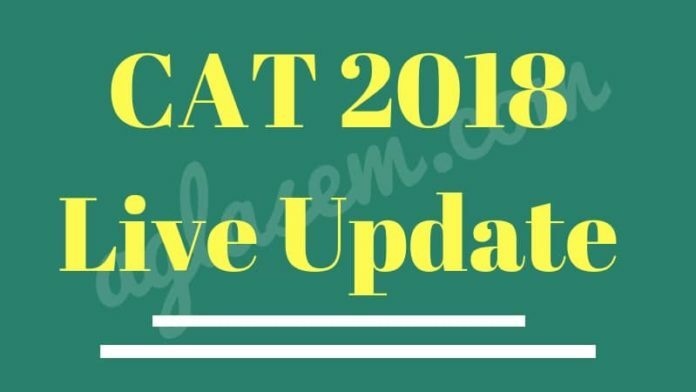 Candidates check all the important CAT 2018 Live Update from this page. 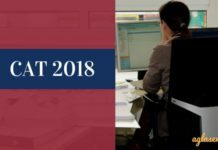 Latest: CAT 2018 Paper Analysis by Career Launcher is available now. Here, candidates and parents can check all the live updates about CAT 2018. We are now providing it for Slot 1 of the examination. But it will also be available for the Slot 2 as well. 2:30 PM: CAT 2018 Slot 2 has started. 1:30 PM: The number of candidates at the center is increasing. Those who are present have to go through bio-metric test. 1:20 PM: Checking and frisking of the candidates is begin done. Just as slot 1, the candidates have been asked to take jewelry and shoes. The admit card and photo id of the candidates is begin checked. 1:15 PM: The candidates appearing fro CAT 2018 Slot 2, entered the exam hall. There were 34 questions each in VARC, QA, and just like last year DILR section was of 32 marks. Level of difficulty in the exam was moderate. The easiest section was VARC. In QA section, the maximum questions were from Arithmetic. Questions in QA section were very tricky. In VARC, questions were from parajumble ,odd one out and para summary, etc. 12:00 Noon: Exam has ended and now the candidates are rushing out of the center. 9:00 AM: Now the candidates have been seated and the CAT 2018 Slot 1 exam has started. 8:50 AM: Few late arrivals are desperately seeking permission to enter the exam hall but all in vain. The gate have been closed and no entry is allowed in the exam hall now. 8:45 AM: Centre official has made the announcement for the last entry and now the gates are begin closed. 8:15 AM: Candidates are now directed towards the exam hall. 8:00 AM: Now the students are depositing their bags, mobile phone, and other belonging. Side by side, the frisking of the candidates is also been done. Those who appeared for the exam in shoes, are being asked to remove it. Candidates with jewellery on, have also been asked to take it off. 7:30 AM: The reporting and entry in the exam hall has begun. Candidates, few accompanied by friends and family, have started to gather around outside the exam center gate and are begin called inside one by one. This year, Indian Institute of Calcutta is conducting CAT 2018. The examination is begin held in 374 test centers, which are spread across 147 cities in India. For CAT 2018, over 2.41 lakh candidates applied. It is expected that around 2 lakh candidates will take the exam today. The unofficial answer key of CAT 2018 may or may not be released today. 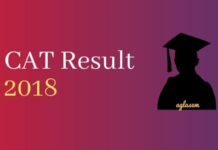 However, various coaching institutes will release CAT 2018 paper analysis. 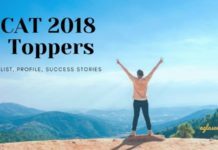 The result of CAT 2018 is expected to be available by January 10, 2018. Medical certificate and Scribe affidavit (if required). Candidates who will not carry these documents will not be allowed to enter the exam hall. The admit card has to be carried in good shape and the details on it should be clear. The number of questions is not revealed by the IIMs but generally there are 34 MCQ in QA and VARC, each. The number of MCQs in DILR is 32. The Non-MCQs in QA and DILR is 8 and in VARC it is 7. The duration is 3 hours and candidates get virtual calculator in the examination.